Today’s book is one of the launch titles in Very Short Classics, an occasional ebook series from the people behind Abandoned Bookshop. Herman Bang (1857-1912) is a renowned name in Danish literature, but not widely translated into English. The Four Devils was originally published in 1890; this translation, by Marie Ottilie Heyl, dates from 1927. It was all for his benefit – ah, he knew it well; through 1000 little gestures – the straightening of her back, the movement of her arm, the glance of her eye, she showed that they were destined for one another. They seemed actually to touch, though each took care to keep the distance that separated them. In spite of it, they felt close to each other; it was as if some indescribable impulse had caught them in a double coil that held them both bound. I found The Four Devils a fine introduction to the work of Herman Bang, and I’ll be looking out for more. 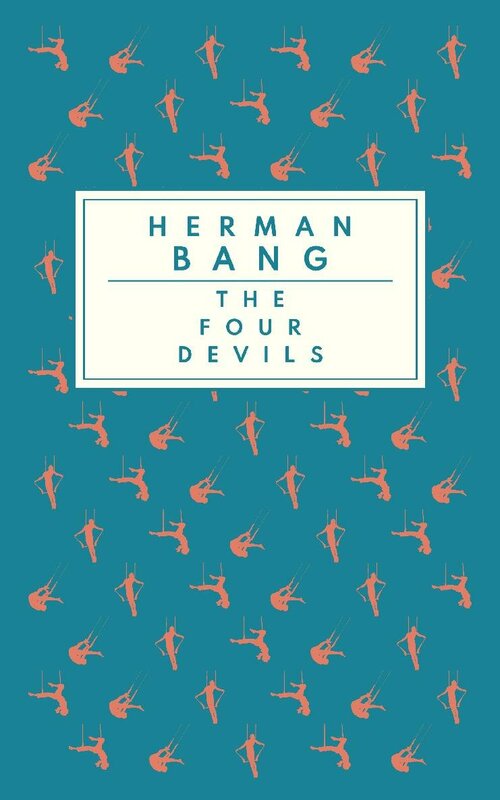 The Four Devils (1890) by Herman Bang, tr. Marie Ottilie Heyl (1927), Very Short Classics, 53 pages, ebook (source: personal copy). The Four Devils is available on Kindle and Kobo for 99p. Read another review by Grant at 1streading’s Blog. Very Short Classics, what a lovely idea! Thanks for the review. I’ll check it out. It is a fab idea – I’m planning to review another one soon. The Abandoned Bookshop ebooks are well worth checking out too, if you haven’t already.